How to buy gemstones in Bangkok, Thailand. Are you looking to buy gemstones in Bangkok, Thailand? If yes then please read this article thoroughly. There are exceptions everywhere, so on the same hand in the gemstones industry there are also a few sellers who want to earn money in one shot and try to sell inferior or even fake gemstones, so it is always important to know before you buy. And with such new treatments being introduced with the new technology, the gemstones market is moving faster then assumed, in this market buying from the right company becomes important. Where to buy gemstones in Bangkok, Thailand. How to make sure that you are buying stones with treatments being disclosed. How to buy gems at the right price, quality. When is the best time of the year to buy gemstones? 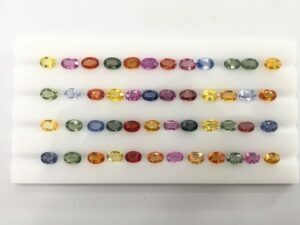 Where to buy gemstones in Bangkok, Thailand? Let’s compare the market of gemstones and the market of vegetables. If you go into a vegetable or fruit market where hundreds of vendors sell, there you will see varieties and competitive prices because everyone keeps their prices low to attract the customers. On the other hand imagine a mall where they keep their prices high because of their AC bills, long lasting foods and their overheads. So let us introduce you to some areas where you can find hundreds of gemstones suppliers of different stones so that you can easily compare the prices and complete your purchases at one place, especially for buying precious stones in bangkok like ruby and sapphires or consistent source of semi precious stones. 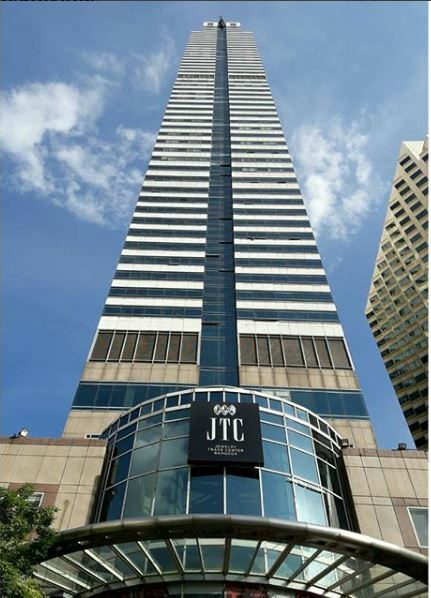 The Jewelry Trade Center or JTC Tower – This towering 59 story skyscraper building is situated on the right side of The Holiday Inn Hotel on Silom Road in the Bangrak area of Bangkok. In this building you can see many hundreds of booths and offices. We recommend to always prefer to buy from an office, because they have likely been running their offices for a long time, so you are therefore more likely to get the best loose gemstone quality and price when buying gemstones in Bangkok. The Jewellery Television (jtv.com) company located in Bangkok (BBJ Bangkok) on the 51st floor in JTC, will only buy their gemstones from the companies that offices more then 5 years because they know this trade well, says Kapil from BBJ Bangkok. We’ll discuss more later about the importance of this. Our office is situated in The Jewelry Trade Center only on the 28th floor, with the same company name Navneet Gems and Minerals on the Door. We have in stock more than 50 semi precious and precious gemstones. Our keys stones are ruby, sapphire, topaz, spinels, drusy, all Quartz colors and have many more other options. This is not a ruby gemstone buying guide from Bangkok, but it still helps focus in the right areas. The Gems Tower and The Gem and Jewelry Tower – These are nearby but keep JTC Tower first on your priority and then you can also look and these buildings after if your not satisfied with your needs. Caution – Some people (walkers) outside in this area, will approach you and push you to see their goods and may offer you fake stones so NEVER stop to talk with such sellers on the streets. At Navneet Gems and Minerals, We provide this service free of cost to our customers. We have been members of Tokyo Lab and GIT for many years and most important our Marketing manager Navneet Agarwal, is a Graduate gemologist. You can read more about him here. How to buy gems at the right prices? Negotiation, negotiation and negotiation. No that all. The best way is not to bargain and walk away if it doesnt come at a bargain price. The best way is your own research for a day or two before really offering your target price. Sometimes we get walkin customers from the tourism industry who just buy on one price, because they know at Navneet Gems they dont expect higher prices, but market prices. So you need to judge whether the person is wholesale or retail or both. The best time of the year to buy gemstones in Bangkok? The best time by far is the Christmas (New Years) time and the Songkran (April water festival) as these times the local people need money. If you want to understand this better, you must understand a thai’s mentality, how they like to spend the money they have and dont believe in much savings. During the new years time, most gemstone wholesellers dont really have much orders, because thats when the jewellery retailers whom they directly or indirectly supply, would be busy selling their jewellery. When you sell, you dont really think of buying at that instant time but January and February are busy months for us. You can Contact Us Here to get more information about buying loose gemstones in Silom. If you visit Bangkok, Thailand then you can meet us at our office to talk and see our stock of loose gems too. Thanks for viewing the content about buying gemstones thailand and buying gemstones bangkok.